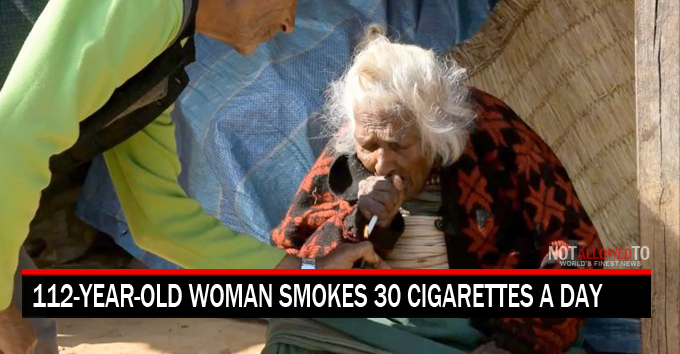 A 112-year-old woman has credited her old age to chain smoking 30 cigarettes a day – for last 95 years. Batuli Lamichhane was born in March 1903 – and started smoking when she was 17. She claims that her 30 cigarettes a day smoking habit helped her outlive almost everyone else in her village – and her own children. Lamichhane doesn’t hold hold a cigarette with her index and middle finger, she uses her entire right fist, which she then holds to her mouth to inhale.